It seems by upgrading my 9-3’s suspension to Hirsch, the bearing cage has been disturbed, and is now in need of a replacement. Not fully expected on a 2011 car with less than 5,000 miles, but, on the other hand, a new car should’t have had quite as much messing around with it. 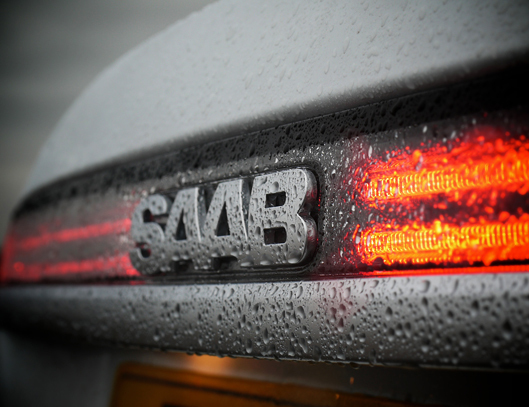 As ever, my SAAB dealer; Bond Street SAAB have been absolutely amazing, my car was taken in yestarday, a replacement part is on the way, and hopefully, i’ll have the mighty 9-3 back by the weekend. In the meantime, I get to drive a 2011 SAAB 9-5 TTiD 4 Aero, white with black roof, full panoramic sunroof, and a very nice black sport leather interior, cool. 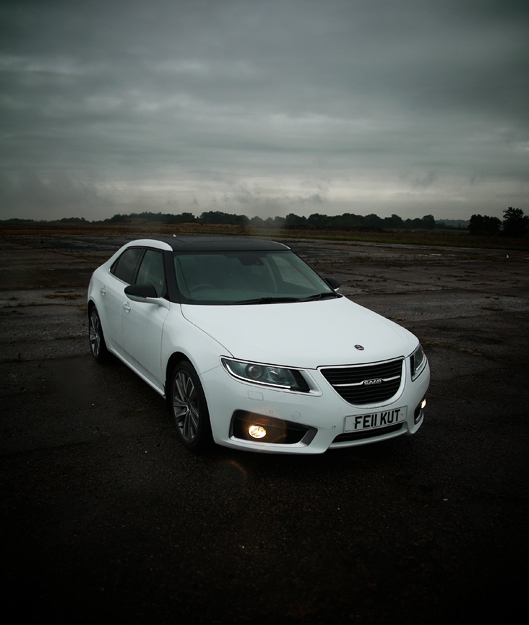 The first thing that really grabs me is the sheer presence it has, this is one very stylish car, the exterior oozes SAAB, and everything just flows beautifully. Feel good factor is extremely high, and having driven numerous BMW 5 series, this really does give you more of a smile, it also seems to attract more than a few stares from onlookers. Having a direct comparison with my new 9-3, the TTiD engine in Aero guise seems to cope with the increased weight of the 9-5 very well, the turbo boost is there in buckets, and pulls well, cabin noise levels are more subdued than the 9-3 – it feels refined and exceptionally well put together. All in all, this is another SAAB i’d own any day, and to be honest, the only reason I didn’t, was that the CO2 levels are higher than those of the 9-3 (in the UK, this is important for tax reasons). I couldn’t resist taking a few photos, and this morning offered the perfect opportunity; rain, dark skies, and a disused runway – perfect. Good news too – I also asked Bond Street SAAB how sales were for new cars at the moment; they have 30 new cars destined for UK roads in September. 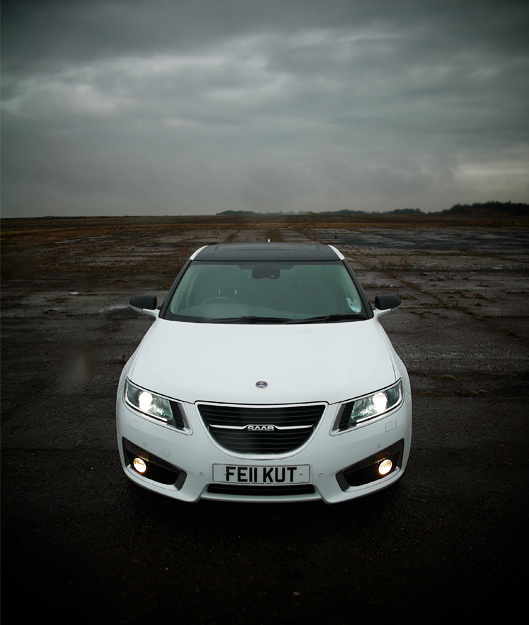 Come on SAAB, with cars like my 9-3 and this 9-5, who could resist loving them?. 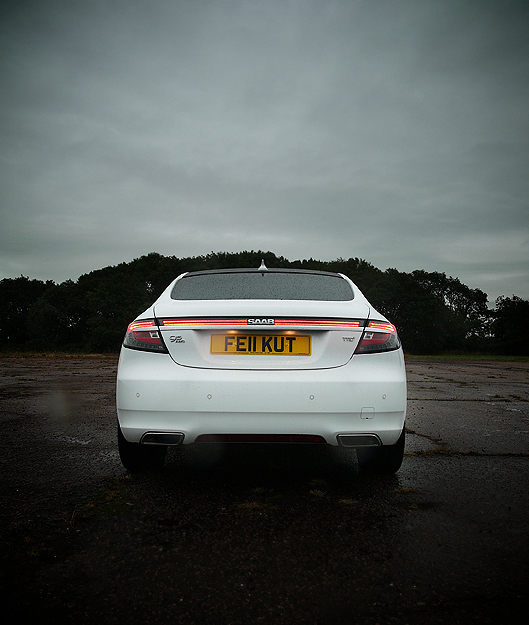 This entry was posted in Cars, Daily Life, Driving, Photography, SAAB Culture and tagged 9-5, Aero, Bond Steet SAAB, Great Day, Joy, Photoshoot, SAAB, Style, Test Drive, TTiD. Bookmark the permalink. 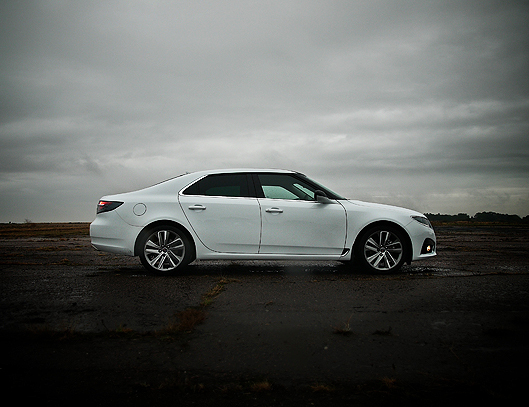 As already mentioned over at SU, these images are plain gorgeous, and makes me want a 9-5 in white even more! I’ve been meaning to get one in spring, and now I just have to get that black roof as well. In the meantime I can always enjoy watching these pics, so if you could send them to me by e-mail in hi-res, I’d be more than grateful! Thanks Warren, really glad you’re using and enjoying the photos, ask if you’d like any hi res though, I love the details on SAABs too. What a shame there will be no more 95,s and that the sportcombi version never saw the light of day,it would surely have succeeded my 93 in time….